There are a number of employees classified under the Federal Wage System schedule. These employees perform jobs associated with the trades and crafts and are paid on an hourly basis. One example is the maintenance mechanic (FAA). They maintain aids to navigation such as the approach light systems serving airport runways. They also work on the structural, electrical, and mechanical devices that are major parts of other facilities. This includes maintenance and repair of heating, air conditioning and ventilating systems; electrical generating and power distribution systems; and the buildings and antenna structures that house a wide variety of FAA facilities. Work is indoors or outdoors as the jobs require. Work may be on outdoor structures of heights up to 300 feet. The basic work week consists of forty hours. The employee must be able to drive a truck to jobs in outlying areas. The employee must have four years of progressively responsible experience in two or more of the following occupational groups: machinist, machine repair person, automobile mechanic, carpenter, woodworker, electrician, electric motor repair person, painter, air conditioning and refrigeration repair person, heating equipment, and power generating repair person. Training in a trade school may be substituted for some of the required experience. Candidate must have a drivers license. Hourly wages vary according to experience and the prevailing rates paid where the jobs are located. 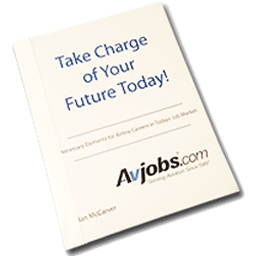 Such jobs are located in all areas of the U.S., Puerto Rico, the Virgin Islands, and anywhere that FAA air navigational aids and air traffic control towers and centers are situated. Training can be acquired in high school industrial arts classes and in vocational or technical schools.